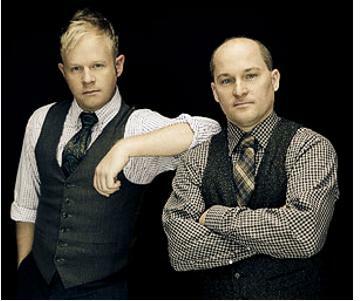 Lebanon, TN -- After spending hundreds of hours in the recording studio, Rounder Records award winning bluegrass music duo Dailey & Vincent have added the finishing touches and will soon be releasing The Gospel Side of Dailey & Vincent. The project will be the duo's first-ever Gospel album and their second CD with the Cracker Barrel Old Country Store® exclusive music program. The new album will be available for purchase January 9, 2012. 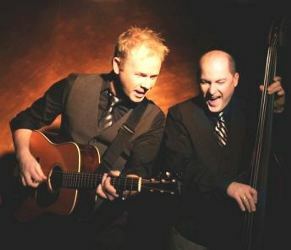 Lebanon, Tenn -- After spending hundreds of hours in the recording studio, Rounder Records award winning bluegrass music duo Dailey & Vincent have added the finishing touches and will soon be releasing The Gospel Side of Dailey & Vincent. The project will be the duo's first-ever Gospel album and their second CD with the Cracker Barrel Old Country Store® exclusive music program. The new album will be available for purchase January 9, 2012. Lebanon, TN -- After spending hundreds of hours in the recording studio, Rounder Records duo Dailey & Vincent have added the finishing touches and will soon be releasing The Gospel Side of Dailey & Vincent. The project will be the duo's first-ever Gospel album and their second CD with the Cracker Barrel Old Country Store® exclusive music program. The new album will be available for purchase January 9, 2012. Nashville, Tenn. (October 11, 2011) – Three-time IBMA Entertainer of the Year Dailey & Vincent hit the Grand Ole Opry's center stage this Thursday night, barreling into their fall tour season with a performance on the Opry Country Classics show. The GRAMMY-nominated bluegrass duo joins the lineup of John Conlee, Jim Glaser, Daryle Singletary, Rhonda Vincent and spotlight artist Lorrie Morgan, for a night of classic country music. "We're so excited to be a part of this Thursday night's show," notes Darrin Vincent. "Opry Country Classics is all about saluting the music that makes the Grand Ole Opry what it is today. We're always honored to be a part of it." Nashville, TN -- The songs country music fans love most are set to take the stage of the historic Ryman Auditorium in the fall return of Opry Country Classics each Thursday beginning Oct. 6 for a four-week run. Each Opry Country Classics show features a Spotlight Artist performing several of his or her biggest hits plus a host of other favorite country artists. The fall season's Spotlight Artists have together amassed more than 100 Top 10 country hits, won more than 100 major industry awards, and sold millions of albums. Bluegrass music artists Dailey & Vincent as well as Ricky Skaggs will be performing as part of the favorites. Nashville, TN -- Dailey & Vincent, Bluegrass music's reigning IBMA Entertainer of the Year, kept Irish and Swiss toes tappin' last week as the duo toured Europe. 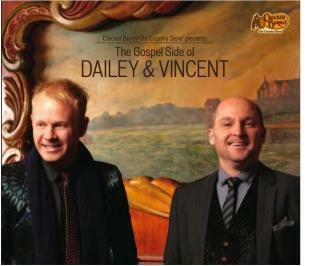 Dailey & Vincent recently made their way 'across the pond' for a four-concert tour of Ireland and Switzerland. The duo's debut in Europe proved to be a success, with sold-out box offices on all four concert dates. Jonesboro, AR -- On Thursday, Aug. 4, Arkansas State University's Convocation Center was the scene of a sold-out concert-the first-ever Johnny Cash Music Festival. More than 7,000 tickets were sold, yielding $310,000, with every penny earmarked for the restoration of Johnny Cash's boyhood home in Dyess, Arkansas. Fans young and old, urban and rural, from places as close as Bono and as far away as Norway, crowded the Convocation Center to witness a behemoth concert of Cash family and friends, what Johnny Cash himself might have called "kith and kin," who had gathered in tribute to the man himself and his musical legacy and to contribute to the restoration of the New Deal-era frame house that housed Cash and his six siblings.